Maximize Your Experience. MaxSpray's human resources bring over 200+ years of combined research and development experience which gives MaxSpray a huge advantage in the electrostatic spraying industry. The depth and breadth of our extensive knowledge, technology training and expertise is your best friend when it comes to electrostatic spraying technology, products, and product development. MaxSpray International Corp. was founded in 1997 by Jack L. Mathis after he spent several years in research and development with the University of Georgia Poultry Research Department in conjunction with Electrostatic Spraying Systems, manufacturer of the equipment. The result of the R&D was electrostatic spraying units that produce air-assisted electrically charged spray droplets, the advantage being that the units use less sprayed product while providing increased coverage of targets. During the R&D phase, Jack tested numerous products for use in the electrostatic sprayers. The company now has a full line of electrostatic sprayers and products for use in controlling odor, insects, and bacteria. 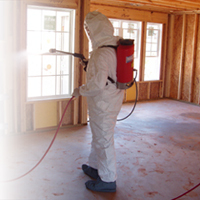 MaxSpray International Corp. was founded in 1997 by Jack L. Mathis. Growing up in a family-owned dairy business gave him personality traits and characteristics that have driven his lifelong passion for entrepreneurship. It is this passion that provided the impetus for his unbridled quest for doing research and development of MaxSpray's electrostatic spraying technology and its various applications. Along with MaxSpray's equipment, he developed a line of products that are used in the elimination and control of odor, insects and a variety of other uses. Today, MaxSpray has grown to a staff of eight. Jack is still involved in the day-to-day operation and provides direction and leadership toward the achievement of the MaxSpray's philosophy, mission, strategy, and its annual goals and objectives. Dr. Silva has 18 years in the foods industry and specializes in poultry issues with focus on disinfection, biosecurity programs and HACCP regulations. He provides bi-lingual technical training and support to the end users to guarantee the best technical results from the product and equipment. Dr. Russell is an Associate Professor of Poultry Processing and Products Microbiology at The University of Georgia. He has over 20 years in poultry research with 8 years in electrostatic application research, including a grant from the US Poultry and Egg Assoc. and two grants from FoodPac. Dr. Guill is an internationally known executive with over 30 years experience in animal research plus extensive ranch and plant management. His in-depth knowledge of the cattle, swine and poultry industry and research management capabilities has proved invaluable to MaxSpray's research and development team. Dr. Guill lectures at trade seminars and has authored over 20 articles on genetics and nutrition that were published in leading scientific journals. Ms. Mathis is a designer and communications consultant with 22 years experience in graphic design, interactive media, art direction and project management in the professional services and marketing industries. Dawn develops and produces marketing collateral, presentations, and training materials to target clients while leveraging MaxSpray's brand and maximizing client-specific interests in the industry. She also created and assists in the development of our Internet site to accurately reflect the core competencies of MaxSpray. MaxSpray International Corp. is committed to being a "full service" company that gives customers the highest quality electrostatic spraying equipment and products. We continually invest time, effort and energy in research and development of new applications for electrostatic spraying technology for the solution of practical, every-day problems ranging from odor elimination to the riddance of annoying insects and beyond. Our goal is to ensure that we provide our customers with the necessary training to achieve the highest level of results with our products and equipment. Further, we view our customers as a resource to aid in the development of new applications with which to challenge our management, quality and production personnel.